Lately, I have been playing games in my iphone again. I recently downloaded Temple Run and because of that, my free time are the never the same again. 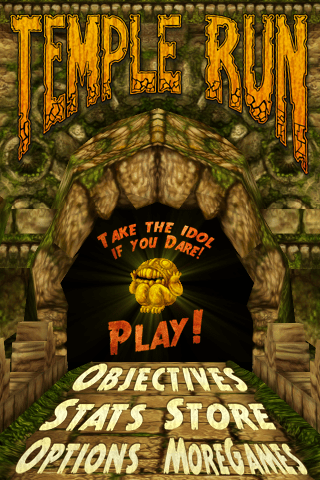 Temple Run is an exciting running game released by Imagi Studios. The goal of this game is similar to many running games in the app store wherein with your control, the runner jumps over obstacles, slides under a tree or fire, and collect enough coins along the way to exchange for powers. 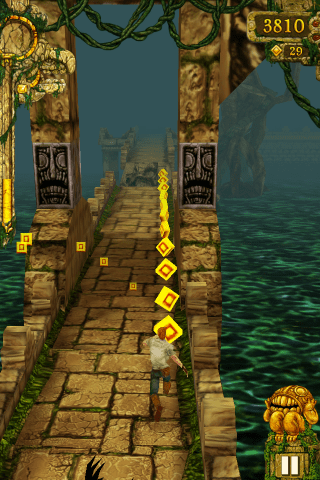 Unlike in most games though where the hero had to go through a maze full of traps, the runner here runs along a temple while being chased by vulture monsters. And unlike the single button approach, this uses an enhanced swiping mechanism. Swiping up or down will make the character jump or slide. Swiping left or right will make him turn. 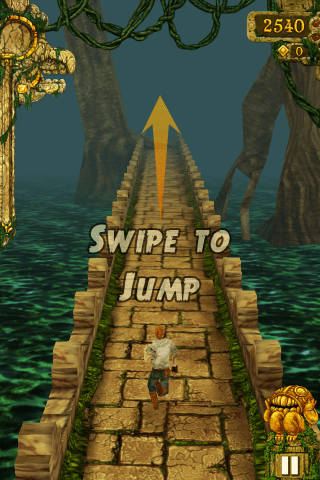 Tilting your screen will move the runner to the left or right making it easy to collect coins. Although Temple Run is similar to other fast rhythm racing games, it creates enough suspense and has enough surprises that will have you hooked once you start playing. It provides lots of blocks such broken road, trunks, fire, etc.that the runner must dodged as well as sudden twists and turns that would keep you on your toes. Scoring is standard, the longer the runner stays on track, the higher the scrore. Coins en route needs to be collected to buy utilities such as start-up boost and reincarnation, and power-ups which include coin magnets, invisibility (create bridges over gaps) and mega coin packs that can help you score higher. Temple Run is a game of speed and sharp reflexes. It requires the player to run, jump and dodge quickly. If you dig fast racing running game, this will appeal to you as the outcome of the game will depend on the speed by which you flick your finger, and how keen you are on details as you need to make clever moves in an instant to avoid gaming over. The sound effects like the edgy background music and shrills of the vulture monsters are plus factors as they add excitement to the game. In the visual department, the use a third person camera made the game look three-dimensional. The playing environment though remains unchanged even when the runner has advanced. The graphics are a bit on the mediocre side, it has the same monochromatic hues from start to finish. Nevertheless, there’s something about Temple Run that would really make you want to continue playing despite its shortcomings in the visual department. I find myself banging the table and stamping my foot whenever my runner gets booted out. I have stayed up late a couple of times too just to beat myself in the game. Whether it’s the desire to top your last score or accumulate more coins, you will yearn for the throbbing excitement that this game brings again and again. This is perfect for kids in the pre-school age onwards as this can develop good eye-hand coordination. Likewise for moms like me too who need a respite from managing the household once in a while and engage in some hands on thrilling action. Temple Run can be downloaded for free from the App Store. It runs on iphone 3G, 3GS, 4, 4S as well as iPad 1 & 2. This game really amaze me and I totally love it. I was once caught up with this game also. I played it non-stop, even before I sleep at night. But ever since I reached the 8 million mark, I stopped challenging myself. Hehehe. I think this is similar to the game that I play on my phone. There are temples you need to discover and collect diamonds too. temple run is addictive according to many. i am the only one so ignorant about the game in our family. It was a fun addicting game for our family last month. Well, until my son hit an incredible 6M (without wings) and now no one can reach that at all! I would like to try that game.Is that available in torque? I’ve been addicted to it these past few days. 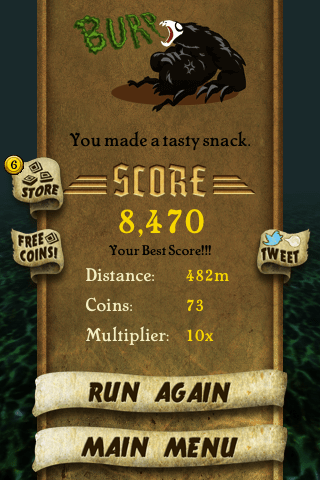 Temple Run is no doubt nice game. 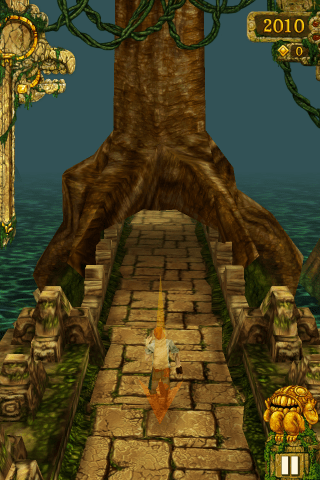 But the new version of temple run came with many more cool features. I just love to play it in my Samsung S3 mobile phone. 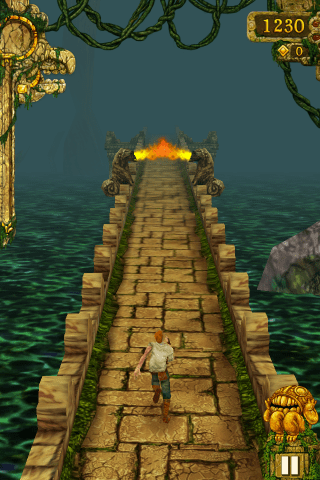 By the way, thanks for sharing the Intro of Temple Run Game. Just addicted to it. In pretty much every treasure hunting adventure movie there’s one specific scene in which the plucky hero finally gets his hands on the treasure but then has to navigate a maze of booby traps in order to get out alive. 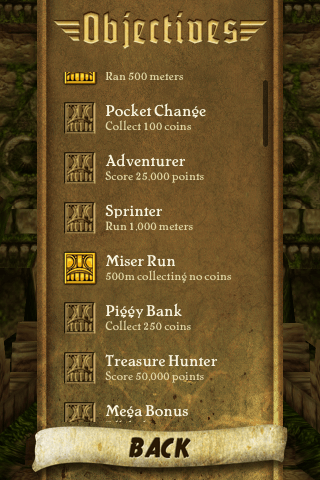 I have been playing temple run for quite sometime now. I never such a great app. Thanks to the couple. Imangi studio rocks. Excellent publish along with just what My partner and i necessary! I’m puzzled as to the reasons anyone rule out Tumblr as web site software, getting held by Search engines offers it a good sharp edge upwards in relation to search. Temple run is a very interesting movie and this is not doubted game.i had been playing temple run on my Samsung tablet.I never such a great app. Thanks a lot you share with us. I actually have some fans on a facebook page related to this stuff. I’ll share your post with them and see what they have to say. I’m sure they’ll love it though.The coin collecting in this games is superb very addicting.